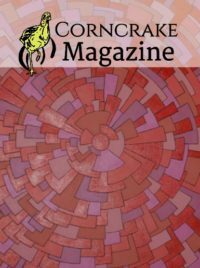 Corncrake magazine was conceived over a cup of coffee at Pete Byrne’s kitchen table one Saturday morning two years ago. Pete, Tony Viney and I had gone back to his house to ‘have a chat and a coffee’ after a Fermanagh Writers Committee meeting, when out of the blue he suggested we should publish a magazine covering all the Arts in this area. When Pete moved to Liverpool a few months later the magazine almost went with him, but I was encouraged by the Committee to explore the possibilities. Our first major decision was that Corncrake would be an online magazine. The name was chosen because the bird is rarely seen and was almost wiped out; but is on the way back, and it was felt that this is a near-perfect metaphor for artistic endeavour in this area. We needed a properly designed website, but would find it difficult to meet out that expense out of our limited funds, so I looked for alternative sources. I attended an information day at the Clinton Centre hosted by the NIHE Social Enterprise Team and was encouraged to apply for a grant from the Social Enterprise Scheme. This enabled us to have the site professionally designed and we were also able to draw on the public relations expertise of the NIHE team. Jenny Brien was appointed as editor to sift through the material submitted and prepare it for publication. Caimin O’Shea is our Assistant Editor and Webmaster, who is technologically savvy to keep the website running smoothly, in liaison with the web designer, Paul ‘Harry’ Harrington. So here we are two years down the line, and the magazine is ready to go. We plan to cover all the Arts in Fermanagh and neighbouring counties. We will publish bi-monthly and we plan to develop into the must-read local Arts Magazine. We will conduct a survey in the near future to check whether there might also be a market for a printed version. Many people have helped to get Corncrake to this point. There are too many to mention here, but you know who you are and I would like to thank each one of you for your efforts. 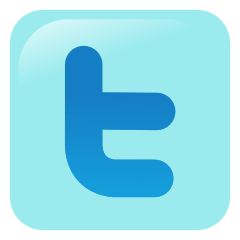 So, what have these shy birds with the croaky voices got to say? They know this country well, and some write of specific places. Peter Byrne has a poem about Rossorry Church graveyard; Angela McCabe has one about a garage in Ballinamore and its connection to John McGahern. Kevin Connolly tells the story of a shebeen in County Cavan, and Richard Pierce of how a corncrake once disrupted a recital at Castle Coole. That love of place comes naturally to us. Dermot Maguire traces it through more than three centuries of Fermanagh Writers, poets, and historians. Precisely because of that love, and because we are part of a long tradition, we modern corncrakes can also be disruptive. You can hear that in John D Kelly’s poem. We can say things that perhaps otherwise would be left unsaid. When writers and poets get it right, they can be – quite literally – the voice of the community. You wonder perhaps why the Social Enterprise Team is funding an Arts Magazine? That’s why. You think Art is a luxury, only for comfortable people, comfortably off? Yes, it is, if you think of Art only as something to be marketed and consumed. Art is more than that; art is the very lifeblood of the community, and a community that can not produce art is dead. Art is simply this – finding the right word, the right note, the right image, the right gesture – to speak to the heart of your neighbour and reveal something that was always there, but they didn’t know it. Anyone can create art. Giles Turnbull is blind – and a poet. Zeus Cooney sold the first painting he ever made. You might too – or you might not. As Colm Keegan says “Start with the heart and the art will come.” You don’t have to do it alone. Writers and artists influence each other in ways they cannot imagine, simply by being aware of their work. So, in this first issue, novelist Anthony J Quinn writes about the influence of the Tyrone landscape, Richard Pierce shares his love of classical music, Chris Campbell reviews a film set in the Belfast of 45 years ago, and poet John Llewellyn James ponders an enigmatic Canadian painting. Corncrakes are migrants; they bring memories from all over the world. The Corncrake calls, not only because it must, but to find a mate to lay a egg and carry on the species. This is our first egg, and now it’s pipping, ready to hatch. I still remember my first local gig like it was yesterday, a nervous young boy trying to act cool taking my first steps into a world that, until then I didn’t even know existed. I couldn’t get over the fact that people just went about writing and playing their own music and even better, arranging gigs that were heaving with people in my otherwise quiet small town. I remember seeing the two headline bands, Odium Halo and Fractured, and thinking straight away, this is it, this is what I’m going to do. Before then those kinds of shows only existed on television, but once I realised it was happening in my own back yard there was no question about it. One thing that really stood out to me was being given a small pamphlet on arrival; it was something I had never seen before, a collective arts magazine for the local music and skate scene called “Badlands”. I hadn’t just stumbled into a music scene, but a community, something that would define my teenage years and the person I would become. I kept that magazine for twelve years as a reminder of where my journey started, mostly because of these few simple words that resonated with me, which were written by local musician Kevin McHugh. That’s what it’s all about, making connections. Linking one chord to the next, bridging chorus to verse, gelling words with music creating something that wasn’t there before. Well it was there, just in a different form. It was hanging in the air making its presence felt until there was nothing else to do but write it down. That’s what we do, and the biggest connection, the hardest one to achieve is between the writer and the listener. You know when you hear a song and it seems it’s about you? It perfectly describes how you feel? Someday I hope to write that song, to capture a moment. To hit on that magical combination of words, that perfect melody line so when you hear it you feel like it’s always been there whispering in your ear, telling you things about yourself, and about me. What am I talking about? I don’t know; I’m just trying to make a connection. I kept those words for a long time, because they were important to me, and because I felt they would be put to good use someday, so when John Monaghan approached me about helping set up Corncrake I felt perhaps that day had come. Making connections isn’t just the goal of the artist, it’s our goal in undertaking this project. 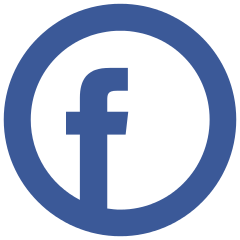 To connect our immediate community and hopefully further afield, to help people meet and share their works and to let those works make a connection with someone else. My journey as an artist hasn’t been an uphill struggle, it’s been a gentle float downstream, carried by all those connections I’ve made throughout the years. My only hope is that we can give some of that back with Corncrake and help carry a few more folk on their own journeys.